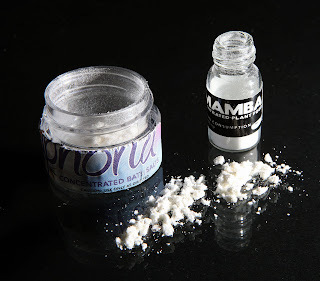 Bath salts with names like "White China" and "Euphoria" have become extremely popular amongst drug users. This legal drug is to blame for a number of suicides due to the symptoms that it causes which usually is severe depression. It has been outlawed in three states already. We have been following this drug since 21 year old Dickie Sanders took his life after using the drug. The drug is nearly undetectable and there are no tests yet that can reveal whether or not people have been using the drug. These so called bath salts are nothing but synthetic designer drugs sold all over the place and can be found with ease. People are snorting, eating, and smoking the bath salts without even knowing the actual ingredients inside the white powder. The government needs to move faster to ban bath salts altogether so that more lives are not lost. Teenagers who are trying to fit in with the crowd may be pressured into using the drug without any idea of the consequences that they may have. It is almost hard to believe that bath salts have been sold legally as long as they have. Now, in Florida anyone caught selling bath salts will being facing felony charges and hopefully other states will step up to the plate and take care of this new epidemic. If you know of anyone experimenting with bath salts, then there is reason for concern. Just this month nationwide there have been 246 emergency calls regarding overdoses on bath salts, which is ten more than all the emergency calls last year.